Parading a somewhat portable design, the HP EliteBook 840 G3 is a third-generation laptop in the EliteBook 840 series. It offers an option of stunning Quad HD display, while 6th-generation Intel processors provide the muscle to get tasks executed. A quick assessment of the HP EliteBook 840 G3 reveals a laptop for mobile professionals. At 18.9mm thick and starting just 1.48kg in weight, it is not a machine you are going to feel discouraged taking outdoors for work. The construction features plastic and aluminium finish. HP says it made this one to pass military-grade testing for ruggedness. The notebook comes with a spill-resistant keyboard with drain and glass touchpad. Standard resolution of the 14-inch display is 1,366 x 768 pixels. But there are Full HD (1,920 x 1,080 pixels) and Quad HD (2,560 x 1,440 pixels) options. HP also offers a model with Full HD touchscreen. Sixth-generation Intel Core (up to Core i7) processors gets the HP EliteBook 840 G3 moving along. The CPUs receive support from integrated Intel HD Graphics 520 for respectable graphics performance. System memory (DDR4) goes up to 32 GB in size. This configuration should take care of standard business applications suitably well. Buyers have option of units with solid state drives for even more robust performance and higher responsiveness. HP rates the battery life at more than 13 hours – at least, expect it to last a whole workday. Security is a major factor on business laptops and that gets extra attention on the HP EliteBook 840 G3. HP Sure Start with Dynamic Protection shields the BIOS against attacks. An optional HP Sure View privacy screen helps to effectively protect your work and vital information from prying eyes. Security features also include HP Client Security, HP 3D Driveguard, HP BIOSphere, TPM 1.2/2.0, and optional fingerprint reader. Among the available input and output features are three USB ports (one USB Type-C), a VGA port, and a DisplayPort. Expansion slots include a media card reader and an external SIM slot. The laptop offers integrated speakers, dual array microphone and Audio by Bang & Olufsen. HP EliteBook 840 G3 laptops are not yet available Nigeria, Kenya, and Ghana. Price starts at around $1,159 in the United States. 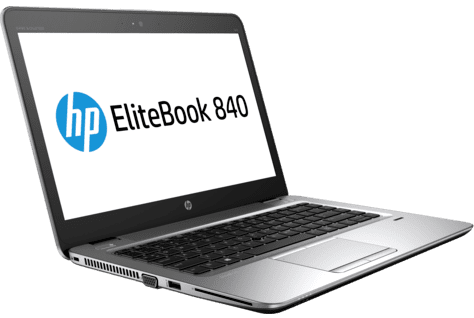 The HP EliteBook 840 G3 price in Nigeria is expected to start at around 440,000 Naira, depending on your location and the configuration of the laptop. Price in Ghana is expected to start at around GH₵ 6990. HP EliteBook 840 G3 price in Kenya starts at 144,999 KSh.